OnePlus’ latest software update appears to confirm one of the biggest rumours around its forthcoming flagship phone. The Chinese smartphone company’s first Android 8.1 Oreo firmware is now available in beta for OnePlus 5T owners. Technology blog XDA Developers has trawled through the preview software looking for clues on the new handset. 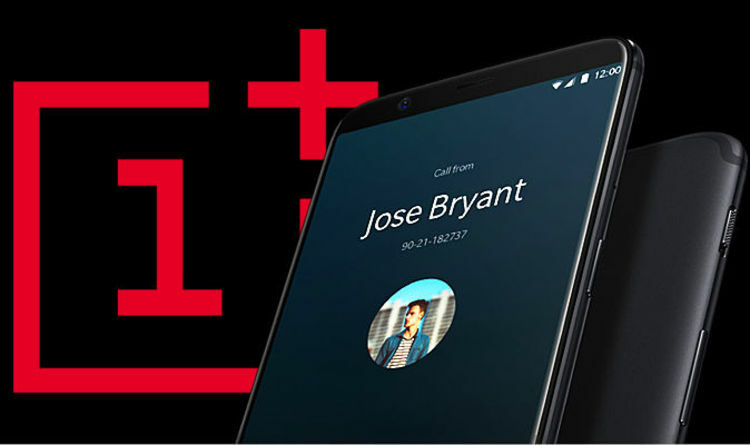 OnePlus will launch a new handset before June 30th, the company has confirmed. OnePlus CEO Pete Lau revealed the existence of an all-new OnePlus flagship smartphone earlier this year. The new smartphone will launch late in Q2 2018, Lau told CNET. According to the OnePlus’ Android 8.1 Oreo beta, the internal codename for the handset is “enchilada”. XDA Developers unearthed the codename inside the new firmware. OnePlus has used food-based codenames in the past, with the OnePlus 5 referred to as “cheeseburger” in software builds ahead of its launch, and OnePlus 5T labelled as “dumpling” in betas. Elsewhere, OxygenOS Open Beta 4 firmware files hints the hardware codenamed “enchilada” will ship with a display notch. According to XDA Developers, the latest OnePlus software beta includes an image named “screendecor_up_img_enchilada_1″ which allows developers to test apps to ensure they work with the cut-out in the display. Earlier this year, leaked images purported to reveal the final design of the OnePlus 6. If the images are genuine, OnePlus has designed a smartphone to have the same all-screen design as the latest flagship Apple handset – iPhone X. The edge-to-edge display stretches across the entire front of the smartphone, broken only by a small notch in the top bezel to house the front-facing camera and a speaker grill. Apple was widely mocked for the notch used in its iPhone X design, and yet, following the launch of the £999 handset swathes of Android manufacturers have adopted the aesthetic. An increasing number of smartphone manufacturers are adopting the notch display design, including ASUS, Ulefone, Doogee, and Noa. Leaked photos of the latest flagship smartphones from Huawei and LG suggest both companies will also ship devices with a notch in the all-screen design. Earlier this month, AndroidCentral published screenshots of an AnTuTu benchmark test purportedly executed on a OnePlus 6 prototype. The OnePlus 6 purportedly scored an overall score of 276,510 – a significant step-up from the previous flagship from the company, OnePlus 5T, which scored 212,558. Benchmark tests, like AnTuTu, are designed to help users quickly compare performance across different computers and different platforms without getting bogged down in details of specs. If the leaked benchmark score is accurate, OnePlus 6 will be faster than the Samsung Galaxy S9, which clocked-in at 241,470 in the AnTuTu test. Even the £999 iPhone X only managed a score of 226,000. Obviously, benchmark scores are not indicative of real-world performance – which is based on a slew of different factors. These leaked screenshots also appear to corroborate earlier leaked photos of the OnePlus 6 design. The screenshots reveal a conspicuous space at the top of the display, with the clock pushed over to the left and a swathe of icons housed in the right-hand corner. The telltale blank space in the middle suggests OnePlus 6 will ship with a iPhone X-style notch in the edge-to-edge display.